Ever wonder how Indiana Jones finds his way to the hidden treasure every time? 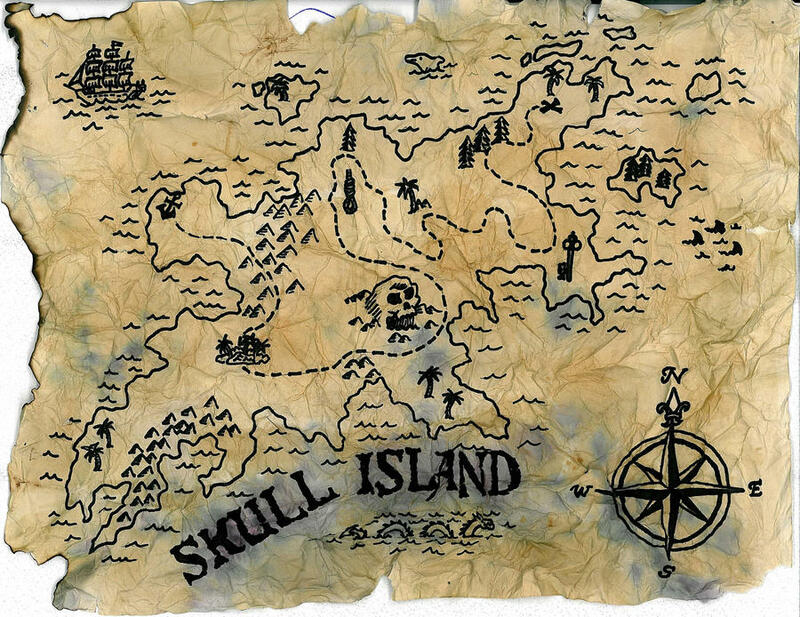 Not only is he an uber talented adventurist, but Indian Jones also has a treasure map that shows him the way. Having a proper blueprint that maps out your path can lead you in the right direction by giving you the correct steps to take. The same concept applies to your landing page copywriting. We’ve partnered up with Instapage to bring you the landing page copywriting blueprint so you can follow steps to create a top converting landing page. Without keeping your eyes on your one landing page goal first and foremost, you run the risk of writing landing page copy that doesn’t serve much purpose. To make every word in your landing page copy count, start off by defining a single landing page goal and tailor all of your copy around that one goal. This will help you write copy that supports the one goal and also guide your visitors toward your call-to-action (CTA), and ultimately, a golden conversion. Instapage recommends keeping a 1:1 attention ratio of clickable links on your landing page, which also helps to keep the content goal-focused. Knowing where your visitors come from can help you address them properly with your landing page copy. Not all visitors should be treated the same. Your landing page copy and CTA need to be tailored to different audience members that come from different channels on the internet. For example, visitors that come from the display network, are likely those that are searching for something other than your landing page and happened to stumble upon your site. These visitors tend to be classified as colder traffic with colder intent levels that will likely react to less threatening CTAs. Tap into this concept of knowing your traffic sources, and write your landing page copy accordingly to match their intent levels and conversion funnel stage. Tip: Write your CTA copy to match the various temperature levels of your audience. Visitors coming from the top of funnel stages in the conversion cycle are likely to need more information to familiarize themselves with your brand and offer. Writing longer landing page copy to address this issue can help your colder audiences learn more about your benefits and unique offering. The opposite goes for warmer audiences, where less landing page copy is required for those visitors already familiar with your company and unique value proposition. “…When consumers begin a product search, their preferences are initially construed at a high level. As a result, they respond best to higher-level product information. Tip: Test out your landing page copy length for different audiences in various stages of the conversion funnel. Visitors came to your landing page for a reason. Remove barriers to conversion with clear copy and intuitive forms. For optimal landing page results, testing out all the various elements of your landing page should go without saying. When it comes to landing page copy, you can test out various pieces and sections of copy to find out which variants are contributing to your visitor’s anxiety and objections. Tip: Explain the why first, before you go into the what and how of your offer. When copywriting, be sure to focus on providing clear and relevant information that can benefit your visitors above all else. Bonus Tip: Consider the sobering-up effect (psychology concept #10) when writing your landing page copy. Visitors tend to subliminally cross-check whether or not they really need your offer the micro moment immediately before the conversion. Avoid negative thinking – Don’t invite negative thinking by using off-putting words near your CTA, like spam. Use action words – Use action words in your CTA, instead of using boring words like submit. Include directional cues – Using directional cues, like arrows, near your CTA can also play a subliminal role in persuading your visitors to click your CTA. Avoid signup forms – Signup forms create an extra step that slows down your visitor’s opt-in process. For more ideas on how to write landing page copy that overcomes visitor fears and objections, here are 41 landing page psychology concepts for conversion. When it comes to creating intuitive forms, start off with non-intrusive form fields first and build up to more threatening fields, like contact info, in the final steps of your multi-step form. We ask about advertising and goals first and save the intrusive contact info fields for last. What better way to test out various versions of your landing page copy than to collect feedback from your actual users? Installing feedback tools, like chat boxes and online surveys, can help you gather ideas on what your users are really thinking. Once you have the truth about your usability and landing page offer, you can tailor your landing page copy to address any concerns you may have learned from your visitors to help make the conversion process a seamless experience. By following these steps in the landing page copywriting blueprint, you should be well on your way to finding your ideal conversion goal. Focusing on your goal, knowing your traffic sources, testing copy length, lessening visitor anxiety and gathering feedback are all important steps that can lead you in the right path to your valued conversion treasure.